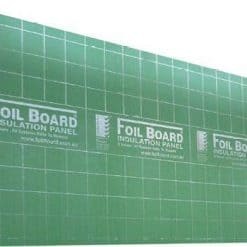 Foilboard Insulation Panel relies on cutting-edge rigid panel insulation design in combination with reflective air spaces to increase a building’s energy efficiency. Foil Board lightweight slimline design allows it to be easily installed to the outer face of timber and steel frames. 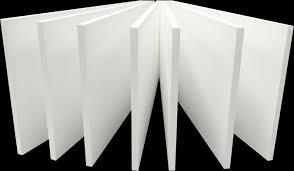 Since Foil Board is available in a number of thicknesses, the R value of a building can be comfortably adjusted depending on the thickness of Foilboard. With Foil Board a builder or home owner has the capacity to create a home or commercial building which goes above and beyond the energy efficiency requirements recommended by the Building Code of Australia. Foilboard’s patented technology means it is completely weatherproof and will not de-laminate under extremes of weather or temperature.It is impervious to moisture. This means once Foil Board is installed to the outside of a building frame, construction can continue within the walls of the building, completely protected from the elements.